Are you planning to shift your residence? Or just want to move one single bed from one house to another? Don’t worry; ManVan is here to help you with all your moving queries!! We are specialized in offering tailor-made moving services to our clients, as every move is different and requires a different approach. At ManVan we not only move your furniture but do it safe and fast and for the affordable price. Why choose Man with a van for your furniture removals in Dublin? At ManVan we have years of experience in the furniture removal in Dublin and all Ireland. 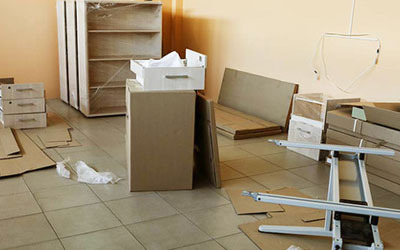 We, therefore, know how to smoothly and efficiently perform the removal of furniture. For fast and efficient furniture removals in Dublin with minimal disruption to your activities, trust the leading name in furniture removals and the experienced team of ManVan. ManVan makes sure that the entire process of moving the furniture would go flawless through meticulous planning, so you could enjoy your new furniture as soon as possible. In addition, the removal of furniture is only a call away. You just have to call us and tell us your needs and we will provide you with all the possible solutions that can free your moving trouble. Meet Man with van team and have a delightful move.